Fxglory is a worldwide online broker founded in 2011 and now is among the largest and most respected companies in the world of the Forex market. Company has succeeded and grown by listening to the clients and meeting their needs. Since foundation, a team of professionals has been formed who are specialists in the currency and financial markets. Fxglory offers its clients high-class services as well as reliable and accessible environment using modern technologies. Company provides both new and professional traders with MetaTrader 4 which is the most popular platform and allows them an immediate Forex trading by using advanced trading tools in the global market. FxGlory offer our clients daily technical analysis to give them a great opportunity to enter the Forex market with a comprehensive knowledge. In order to receive a bonus, you need to open a real account, tick the checkbox of bonus in deposit part of Client Cabinet and make a deposit of any amount. The bonus will automatically be credited to your account. All the above-mentioned procedures are simple and do not take much time. Fxglory strives to make your trading more convenient and efficient. For this purpose Fxglory gives 50% bonus for each deposit. 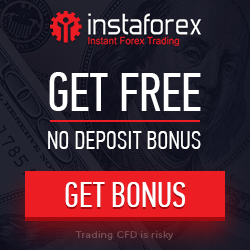 Bonus helps you to achieve new trading strategies and goals. Increasing your buying power it gives an excellent opportunity to test and engage into next level of trading with fast decision making and greater profit potential. After the last deposit there must be minimum 6 trades with the minimum intervals of "50% of the largest trade volume time" with this condition that "all trades volume” must be more than “30% of the largest trade volume”. Fxglory will announce the end of this promotion on this page. 2. Contact FxGlory to have the funds transferred from your old account to the new one. I started trading with FxGlory since 2014. Actually,my forex trading career began around 2006 on the platform of marketiva. I was frustrated by their platform and other factors and then decided to stop trading for some years.Friends encouraged me around 2013 to start trading again and I consented. It however became necessary for me to use an MT4 broker that also accepts paypal.That was when my friends introduced me to FxGlory in 2014. The document verification was not easy but I completed my registration successfully. As an experienced trader,I needed not to be told to carefully read through the terms and conditions involved in every transactions.Majorly, three things are very important to me;no slippages,good customer support and due payment of withdrawal requests.I quickly tested FxGlory on these three and they impressed me.I usually get my withdrawal requests completely processed in about 2 to 3 hours because I use paypal. What I like most is their consistent improvement by the days just between 2014 and today. As I write today, my account is in good conditions and it is just hard for me to consider other broker. 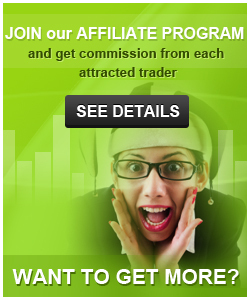 As I am an amateur Forex trader, I was searching for differences between Forex accounts in Forex brokerage. Some brokers such as Exness.com or Fxdd.com has not Islamic account or swap free but some others such as Fxglory.com or Alpari.com has got these type of accounts. What are the benefits of a swap free account in compare with a no swap free account? Awesome service. Keep on good work. FXGlory is the most excellent broker I have ever used in my 5 yrs trading, No difficulties with withdrawing, always the full amount requested, done within 24hrs. I tried depositing funds with credit card but after a few times did not accept my card so I have to use PayPal. This is the only matter they have to work on, otherwise everything else is super, fast execution, handy spreads, NO unusual disconnections, support over phone or email. I am extremely happy with the FXGlory broker so far. However, the withdrawal of funds is little bit delayed, but I trust they will get better of this services. I was trading forex with this company since they appeared, I was never unhappy with this experience, but Binary was always better for me. As here is predefined percentage of payouts for profitable trades. So, you know the amount of your profit before trading. You can even prevent further loss. Fxglory offered us options just a while ago. I opened an account for it traded a little bit and seems good. I'm observing now, it's a big opportunity and I hope they're gonna work on this really good. During my experience with fxlgory, I saw their trying to improve service and offer better conditions to the clients. After I started trading with this broker, they added several payment methods, made withdrawal process faster, now they have webtrader platform also, this is so comfortable. Hi there. I trade with fxglory for a long time already. For long traders its a best choice but not for scalpers. Customer service is their advantage with VPS offer as well. Its working great each time I'm using it from different countries.